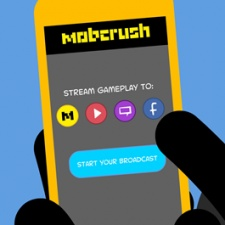 Games broadcasting service provider Mobcrush has revealed a new ‘Go Live, Get Paid’ platform aimed at helping small content creators earn money from advertisers. The free tools and features, now in beta, are part of the company’s plans to “democratise” the creator space. The platform allows creators to livestream gameplay from their phones across various supported platforms at once, which currently include Facebook, Twitch, YouTube, Twitter, Periscope and, of course, Mobcrush itself. For the latter, it's the first time its ads platform has been introduced. Creators can also integrate unified chat across platforms to bring users together, as well as pre-set and custom video overlays for personalised and sponsored streaming. Influencers are able to partner up with brands and then get paid for their hour stream, providing certain criteria are met. The idea here is that both sides know exactly who is partnering with who and what ads are appearing. To date Mobcrush claims to have helped streamers earn from $15 to $2,5000 an hour for livestreaming in closed alpha testing. Speaking to PocketGamer.biz, Mobcrush CEO Mike Wann explains the platform is able to mix ads, creatives and other assets that have already been provided by an advertiser into a stream. This service is described as eliminating the back and forth between brands agencies and content creators, as Mobcrush vets work upfront to ensure a brand’s message is delivered and “more importantly it’s mixed in an appropriate fashion”. “When somebody comes on board, they're able to actually go in and select Coca Cola as the advertiser they identify with first and foremost,” says Wann. “Second of all we actually tell them the rules of the campaign. So firstly it's Coca Cola so I don't want you to talk about Pepsi. Secondly this is a very family friendly sponsorship so no swearing. Number three is we would like for this to be things that are more summery in nature. So if it identifies with your stream then definitely pick up this offer. There are no performance metrics outside of basically checking the boxes for the brands as far as content creators are concerned. Of course, monitoring whether streamers abide by the rules of a sponsor deal is the real challenge that faces platforms like YouTube and Twitch. 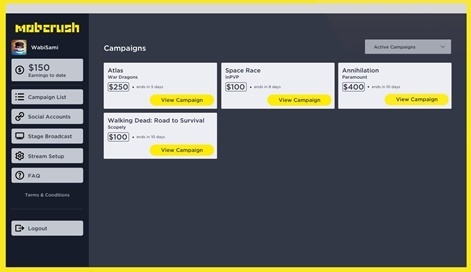 For Mobcrush, Wann claims that following the stream each piece of content is sent to a quality assurance team of “real human beings” that watch each stream and check off all the requirements. Given how much content is generated from these broadcast platforms, it’s certainly a monumental task and one other platforms have more heavily resorted to algorithms to solve. YouTube recently said it was employing 10,000 people to monitor its videos for content that breaks its policies. When it comes to actually getting paid, the key element Wann highlights is that Mobcrush wants all streamers to earn money. It comes as a report by Mathias Bärtl from Germany’s University of Applied Sciences in Offenburg claimed that 96.5 per cent of YouTubers don’t make enough money from the platform to pass the US poverty line for a couple - $16,800 (£12,027) a year. 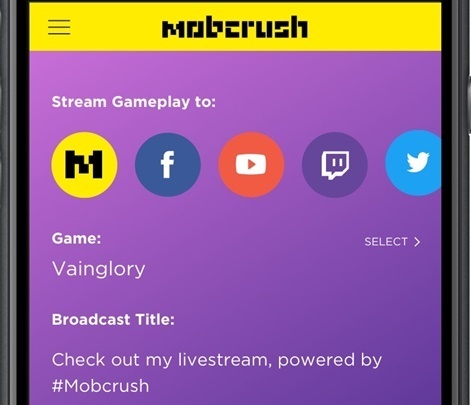 Mobcrush meanwhile commissioned its own survey with analyst firm DFC Intelligence which claimed that only 85 per cent of gameplay streamers have ever made any money. Of the respondents, 80 per cent said they would livestream gameplay if there was an easier way to get paid through sponsorship and advertising revenue. It’s an issue across platforms of course, and is why some content creators are exploring avenues such as Patreon to get community support for their videos and/or streams. With Mobcrush’s cross-platform toolset, Wann says its goal is to make sure there’s a fixed payment for the experience. It’s something to support those up-and-comers with audiences across platforms, he says, rather than just the mega-stars bringing home the big bucks. The adpocalypse happened because [YouTube] created an ecosystem where the views are all that matter. “A lot of the other platforms out there are very much pay for performance,” states Wann. “Because the way our platform works is we authenticate the audiences beforehand, we are able to quantifiably tell the brands you're getting a chance to work with X, Y and Z creator who has 30,000 reach on Facebook and 10,000 reach on Twitch. We're going to be able to get you great content created in this hour stream. More specifically, Wann says the payment is worked out by Mobcrush’s own algorithm, which calculates what it thinks the value is for the creators, from which it then provides a flat fee. “There are no performance metrics outside of basically checking the boxes for the brands as far as they're concerned,” says Wann . Of course, while the brands may be partnering up right now, the so-called ‘adpocalypse’ on other platforms and potential controversies from the larger streamers could lead to an exodus. Wann says he’s not so worried about any bad actors though. In closed alpha for the Go Live, Get Paid service, he claims 100 per cent of the content was ‘on brand’. “The best way to put it is the adpocalypse happened because [YouTube] created an ecosystem where the views are all that matter. You actually set the benchmark for the wrong metric,” he says.